In the mid-80s, I could not afford to buy the original NES so I played endless hours at my friends place. 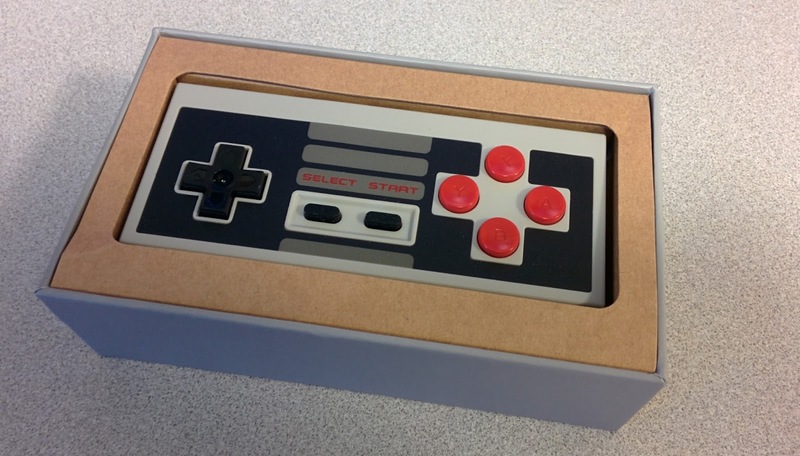 More than 20 some years later, after I bought a laptop, I found on eBay a NES controller that works by plugging it in the USB port and using some kind of emulator, I can't remember the name of it but it worked okay. Now that I own an Android device, I am super happy I found a Bluetooth controller to play my favorite games on my phone! When you first hold the remote, all you need to do is press the "Start" button on your remote and it powers it on. It took no longer than 30 seconds to pair the controller on my phone, then I fired up my "John NES Emulator" and was able to start playing Zelda without any tweak. The remote has the exact same form and design than the original with the exception of an "L" and "R" button à la PlayStation and the addition of an "Y+X" button along the usual "A+B" ones. Also, something very important to mention, there was no delay between the controller and the game itself so if you were a pro playing games on NES, you will be a pro playing games on your phone using the NES30! 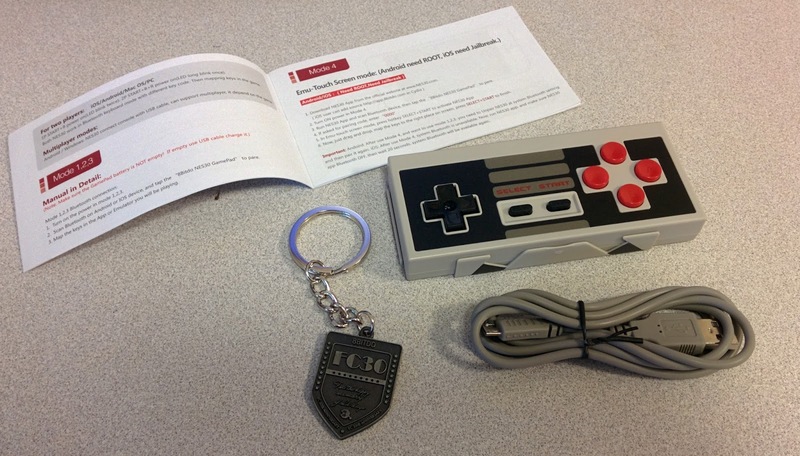 In the box, you will find a controller, a booklet, a keychain (kinda cool!) and a USB cable to charge the controller. 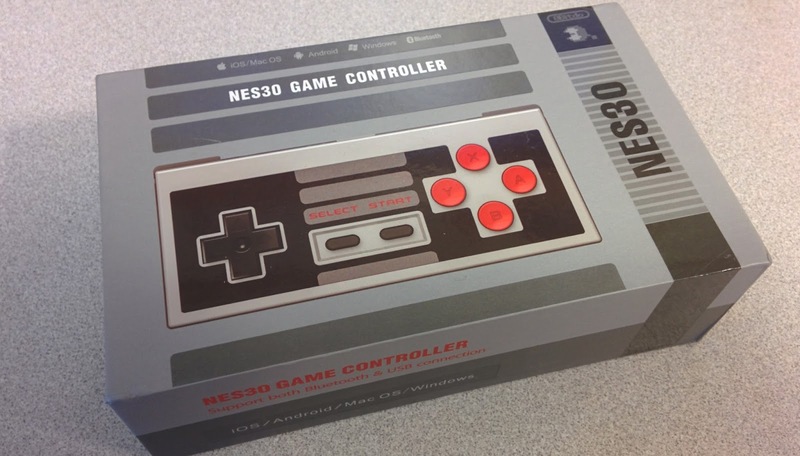 The remote is sold online at http://www.nes30.com/ and costs some $36 including shipping. If you are as serious as I am with NES games, give it a go, you won't be disappointed! All right, I gotta go back to Zelda, later y'all!